German multimedia receiver Dream has offered a €10,000 (£8,000) reward for info on how its Dreambox range has been counterfeited. 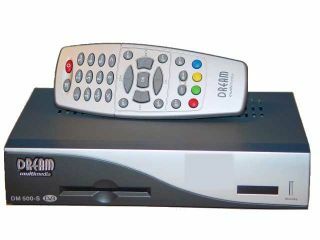 What Satellite & Digital TV has reported that poor quality DM500, DM600 and DM7020 boxes have been made available for sale in parts of the world, prompting the official manufacturers to take action. "More differences can be found in the quality of used material and the neglected workmanship. The duplicates are poorly coated and badly processed. "Screws are missing at the tuner modules and SCART jacks on the reverse side. The Enigma User Interface is also an illegal copy; the transponder scan function does not work correctly which means not all channels can be found," says the company. "An older release of the DM500 main board from 2004 has been copied and this illegal DM500 version is not CE certified and hence, has no approval." The real kicker for those not vigilant enough to check out the boxes they're buying on the cheap: the warranty of guarantee they assume will be in place won't be upheld when the box breaks down.